If you are friends with us on Facebook you know we’ve already been hatching a Small Fry book club and we’re so excited so many of you have already joined! 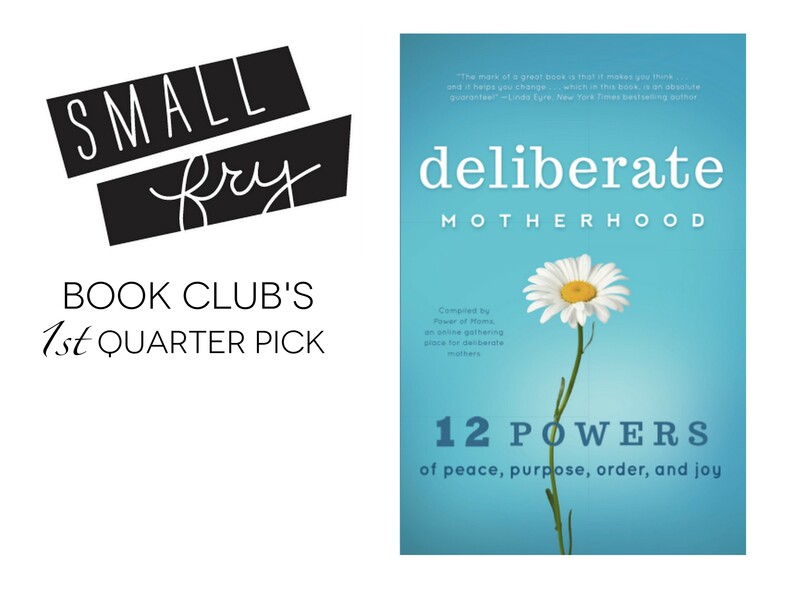 We put up three books for everyone to vote on and the clear winner is Deliberate Motherhood: 12 Key Powers of Peace, Purpose, Order & Joy! We’ll be reading a book each quarter so this first quarter is for September until December. 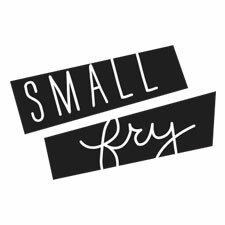 We will keep you updated via the Small Fry Book Club group page on Facebook as to when we’ll be having the big group discussion! In the meantime, scoop up a copy and get reading! Also, we’d love to hear your child development, parenting-related biographies or auto-biographies, and child-rearing book suggestions for the future, any the Small Fry Book Club needs to check out? Love this idea because I know i need to read more! I loved Bloom by Kelle Hampton! I just completed a human and child development class and started reading Boys Adrift. As a mom to a toddler boy, this book has been completely eye opening. I suggest that be an option for next quarter! This book club is such a fun idea, excited to start reading! I have heard SO much about this book! I have twin boys, and feel like I can’t NOT read it now, after hearing so much good about it. The book Protecting the Gift by Gavin De Becker is a really important read for any parent or those who work with children to read. It teaches how to protect them against abuse, abduction etc. It blows the “stranger danger” approach out of the water and gives some great suggestions of how to really teach about safety. I went to a retreat they did where they talked about each of these topics (peace, purpose, power, joy) and it was really thought provoking & helpful. The book has been on my “to read” list for a while now! Ohhhh, I’m so excited! I’m ordering my book now. I hate to toot my own horn but my bachelor’s was focused on child development in psychology & my master’s was focused on school counseling so I know a thing or too on the subject. If you ever have any questions to hesitate to shoot them my way. Raising Your Spirited Child, is my personal favorite!